This is another treat that I found on Pinterest. 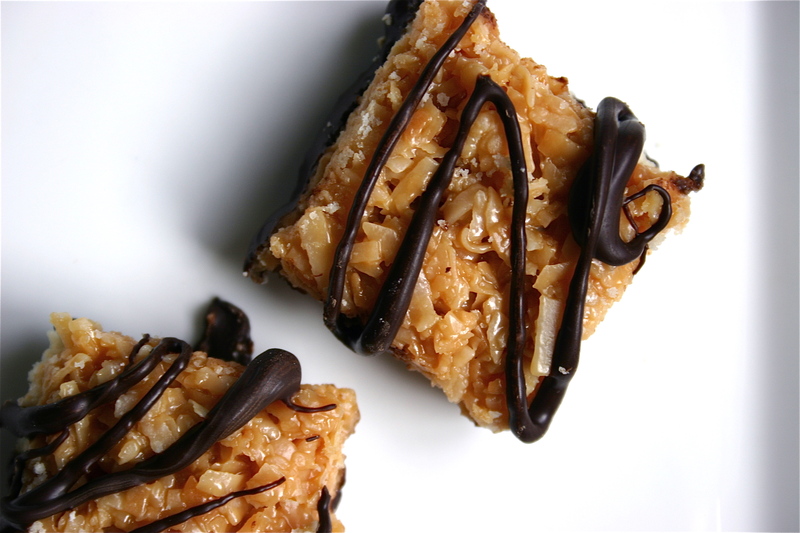 I combined a couple of recipes to get this one… it tasted like a grown-up Samoa to me, which was delicious. 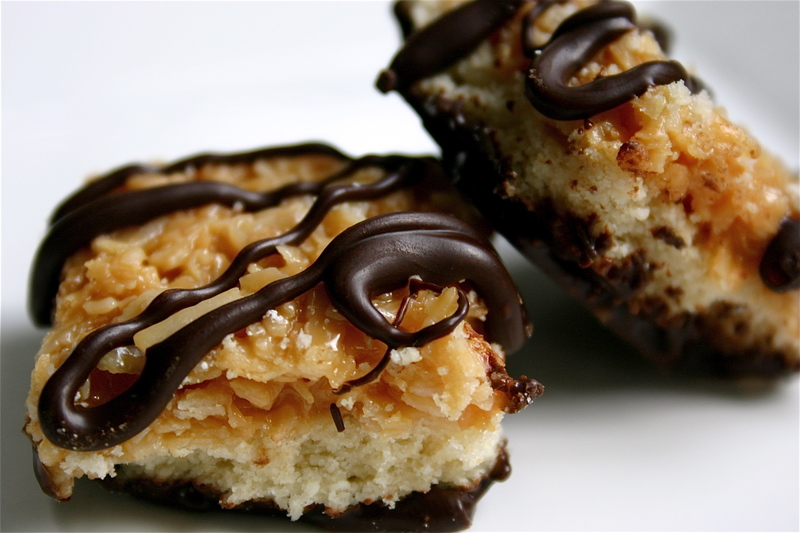 However, after doing some research I found out that Samoas and Caramel deLites are actually two slightly different cookies. The latter is made with less caramel and milk chocolate… I think I’m just going to have to whip up a batch to do a little taste-test.